What happened to Dirty Linen? | By the former editors. Fairport Fanatics, a newsletter for fans of British folk-rock band Fairport Convention, was started by TJ McGrath in 1983. Music lovers who bought Fairport albums noted an announcement on the back of album covers directing them to send a few dollars to McGrath’s Connecticut address, and a print community was born. Kindred spirits began to write to and for one another, directing each other to yet more bands in a similar vein, historical references behind the songs, new musical directions taken by former FC band members…. this is a dinosaur version of Internet newsgroups and web communities. Paul Hartman of Baltimore, Maryland, a computer software developer by trade and music fan by avocation, was one of the first on his block to purchase a home computer in the early 1980s. He put it to immediate use as an assistant to McGrath, typing articles and assembling pages in a coherent way. (Heretofore the many submissions from various authors had been assembled piecemeal and pasted up for photocopying.) 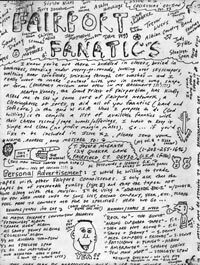 Around 1987, when McGrath returned to graduate school and found more demands on his time, Hartman took over the production of Fairport Fanatics. Under Hartman’s tenure, the newsletter became a more polished print publication, and eventually a glossy magazine available in independent bookstores and chains such as Barnes and Noble, Borders, and Chapters (in Canada) as well as having subscribers all around the world. Many of the earliest writers from Fairport Fanatics days continued to write articles and reviews for the magazine, renamed Dirty Linen in homage to its Fairport Convention roots (“Dirty Linen” is a set of traditional Irish fiddle tunes that was updated into a folk-rock medley on Fairport’s Full House album in 1970), and other writers came onboard as the magazine grew in size, musical breadth, and commercial stature. Covering a broad spectrum of roots music traditions and innovations, Dirty Linen ran articles on everything from American singer/songwriters to Celtic rock bands to interpreters of traditional African, Mexican, or Celtic materials to string bands, jug bands, slack-key guitarists, and more. The Dirty Linen Store is open! If you liked (or hated) some of the silliness of Dirty Linen such as the spine ticklers, the April Fool’s features, or the nonsensical photo captions, you might enjoy the brand shiny new items in the Dirty Linen Store. 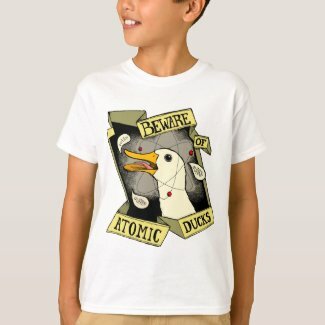 T-shirts, mugs, posters, and reusable grocery bags with gorgeous artwork featuring plenty of lyres, nyckelharpas, and bagpipes for the whole family, plus huge manatees, atomic ducks, a radio, and the world-renowned pugmpkin. Tell your family, friends, and especially your enemies. It’ll be easier to spot them in a crowd when they wear strange attire. Baltimore County Councilman David Marks has recognized Paul as “Citizen of the Year” for 2013 for his work with the Greater Towson Council of Community Associations, an umbrella group representing 30 community associations in the Towson area of Baltimore County. You can still buy Dirty Linen! If you want a great retro gift idea for someone special (or just for yourself), the Dirty Linen linen store is still open. Customizable T-shirts, hats, and the ever-popular apron are available. Proceeds from sales go to Paul & Sue Hartman. The Dirty Linen merch store is still open! You can remember your favorite folk/roots/world music magazine with a logo T-shirt, or mug, or cap, or various other nick-nacks. The old Dirty Linen P.O. Box has been closed. Since 1988, thousands of recordings, books, and videos have passed through the box. Uncountable flyers and catalogs for festivals, tours, and events. And more pre-approved credit card offers than you can shake a plastic stick at. This year the mail has reduced to a trickle, so it’s time to stop spending $224/year for the P.O. Box. Everyone should stop mailing to P.O. Box 66600, Baltimore, MD 21239-6600, USA. Recordings sent there will be considered for airplay. The most wonderful time of the year: April Fool’s Day! One of the recurring features of Dirty Linen [RIP] was the almost nearly annual appearance of the April Fool’s Day article in the April/May issue. Sometimes there was also a fake review or fake ad or something, but the big April Fool’s articles proved to be very popular, except with those readers who hated them. I’m filling in for Melissa Lauren on the WTMD Saturday Morning Show this Saturday (December 3rd) 8 am to noon. You can listen in the central Maryland area at 89.7 FM if you have one of those old-fangled radio devices, or via the Intarweb.